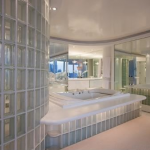 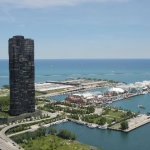 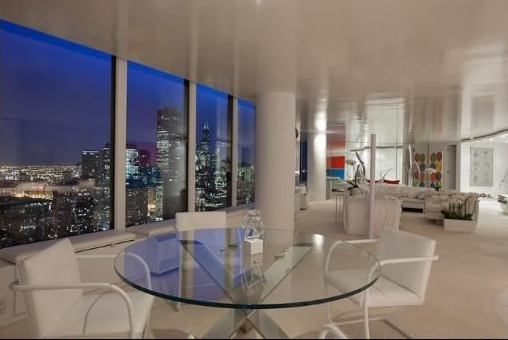 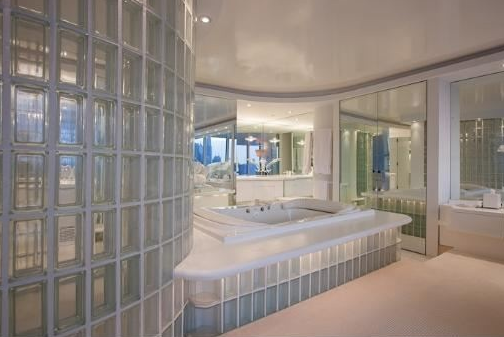 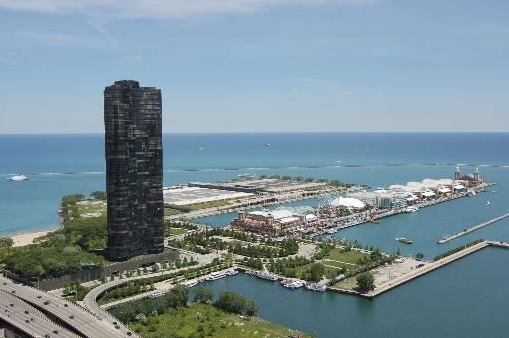 This luxurious condo is located on the 67th floor of Lake Point Tower located at 505 North Lake Shore Drive in Chicago, IL. 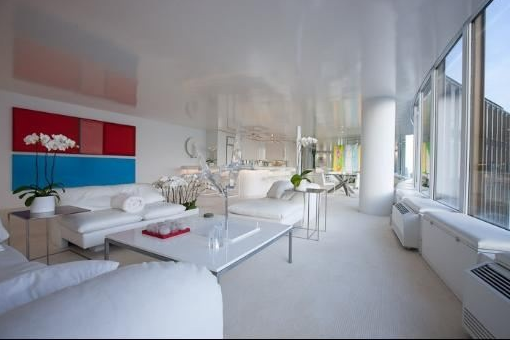 The condo itself features 2,537 square feet of living space with everything white; white carpet, white ceilings/walls, white decor/furniture, etc. 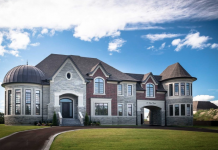 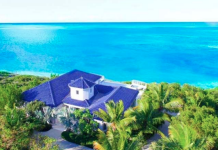 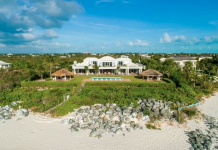 There is 1 bedroom, 2 bathrooms and an open concept living/dining/kitchen area. 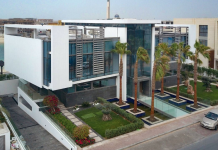 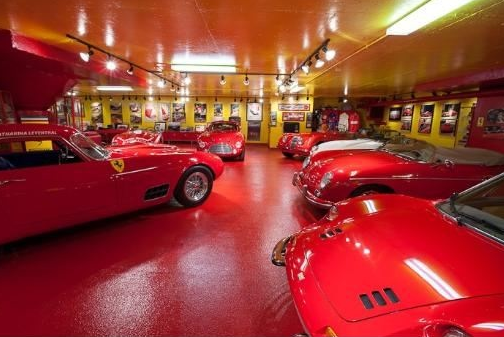 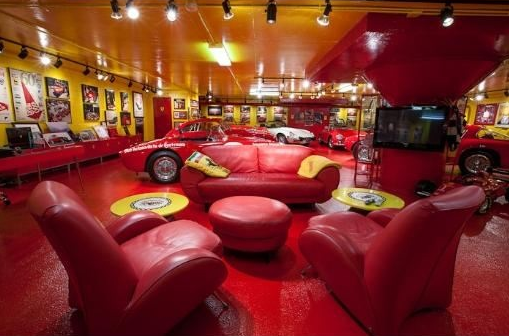 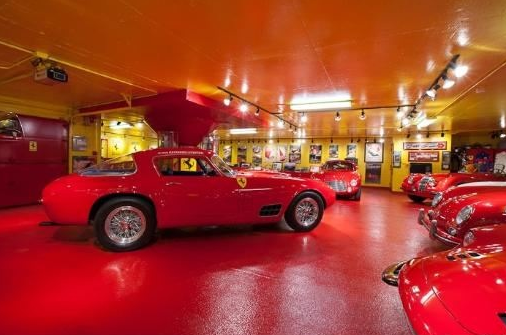 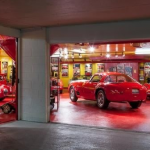 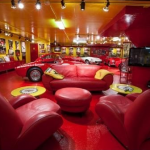 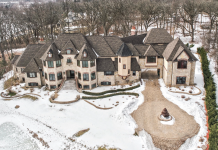 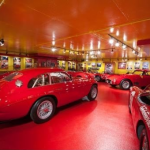 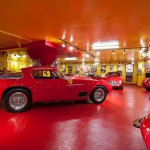 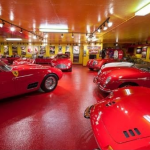 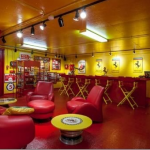 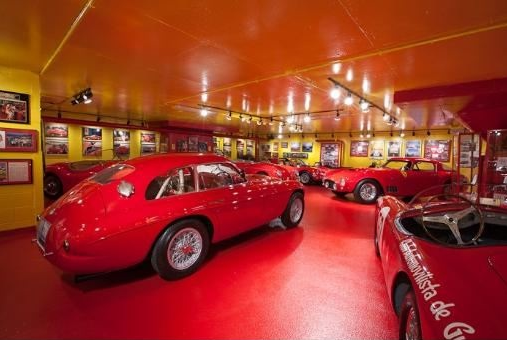 Included in the price is an impressive 2,714 square foot 12-car Ferrari themed garage with red painted concrete floor and yellow painted concrete ceiling. 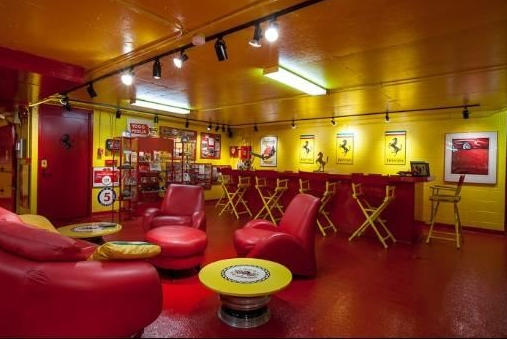 There is also a lounge and bar area in the garage. 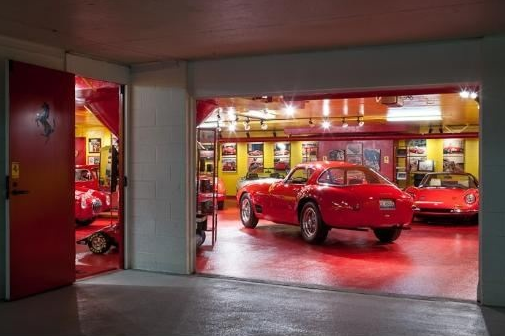 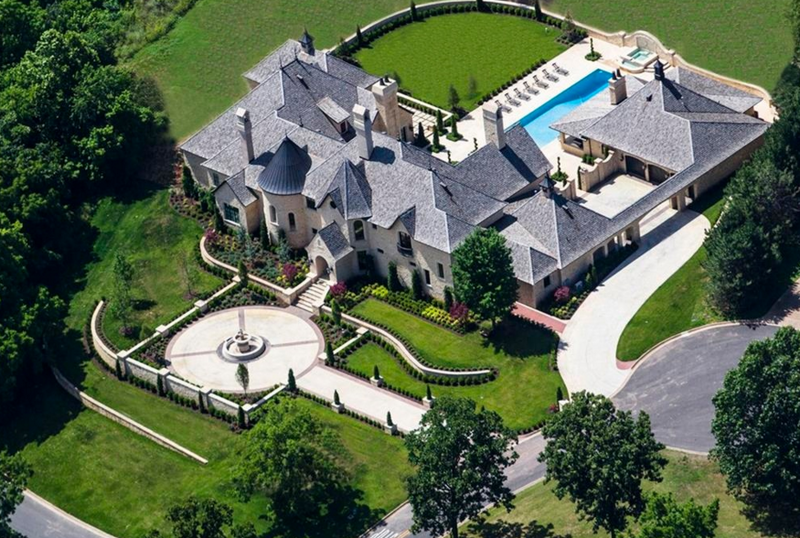 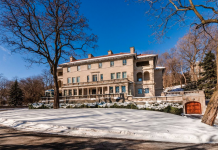 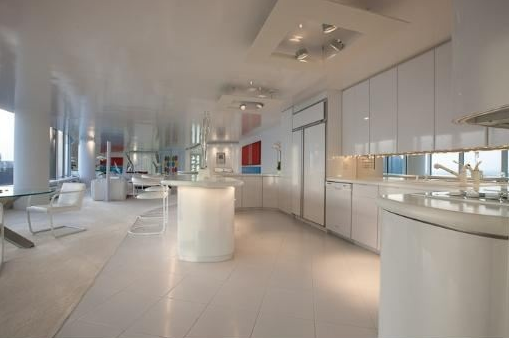 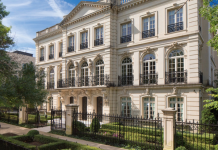 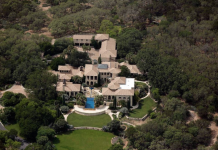 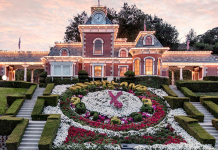 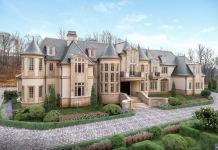 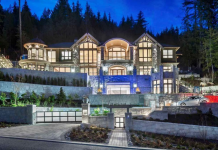 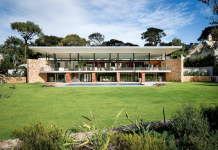 The garage can be bought separately for $2.1 million.